May have bought 14 nail polishes today. Oops? I'll admit I may have gone a teensy bit overboard on the polish front. The worst bit? This wasn't the lot, I'm actually having to split this blog post in two! Makes for a bad bank balance but very good blogging! 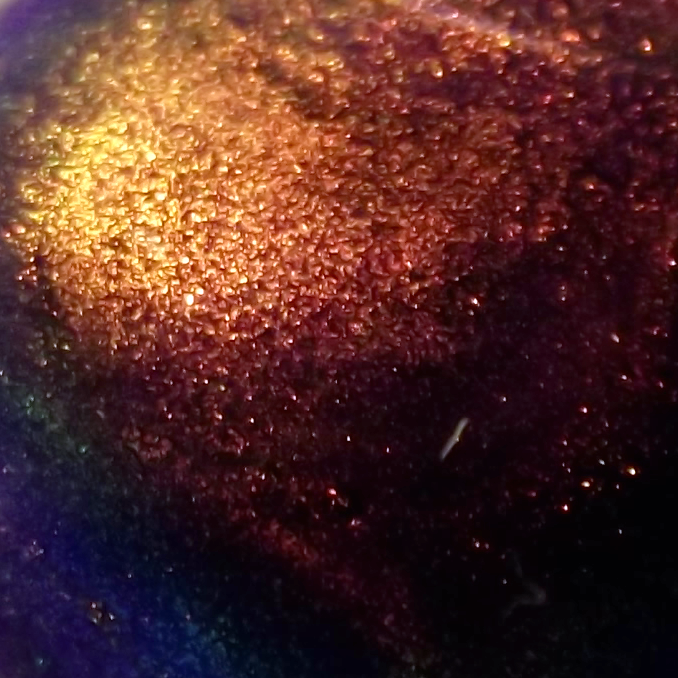 You've got to admit, they're gorgeous aren't they? I figure now's the time to be stocking up on the last of the summer polish and start making preparations for autumn. 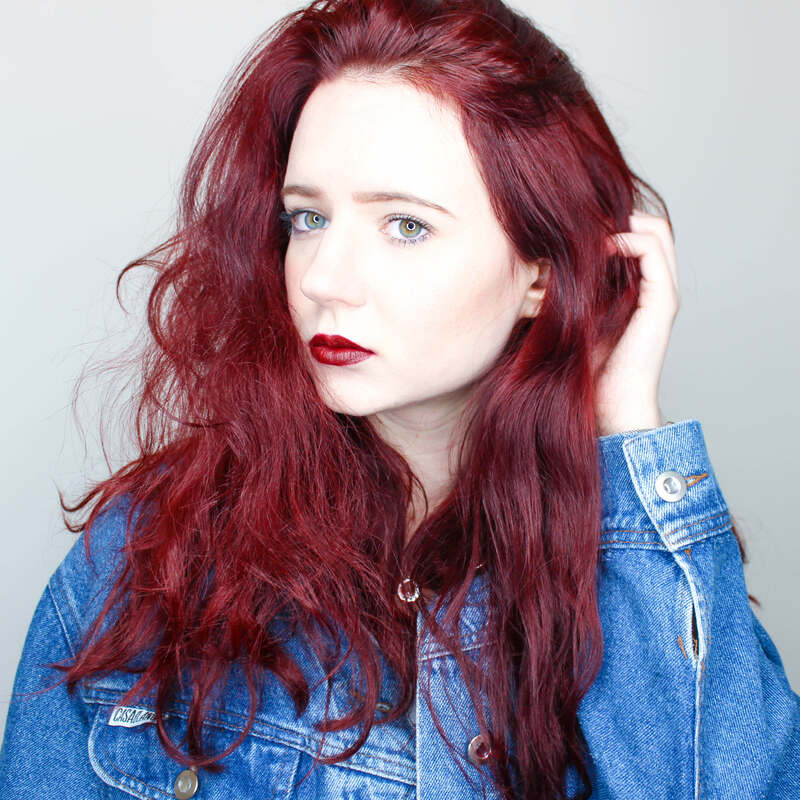 Consider this post an adverstisement of why to take your pictures at the same time, lighting it awful! It go dark in between, sorry chicks! 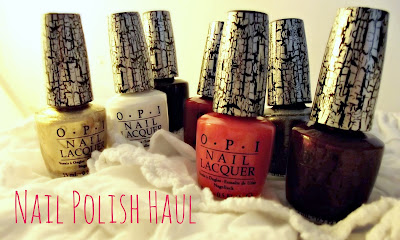 O.P.I Crackle Nail Laquer (from left to right): Gold Shatter, White Shatter, Black Shatter, Red Shatter, Pink Shatter, Silver Shatter and Super Bass Shatter. You can purchase these for £11.50 each at Debenhams. 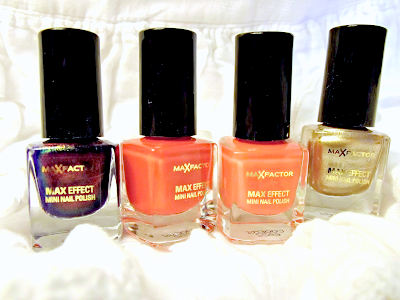 Max Factor Max Effect Mini Nail Polish (from left to right): Fantasy Fire, Red Carpet Glam, Diva Coral, Ivory. Boots have a HUGE range to choose from for just £3.99 a pot, my favorite is Fantasy Fire, you can view the full range here. 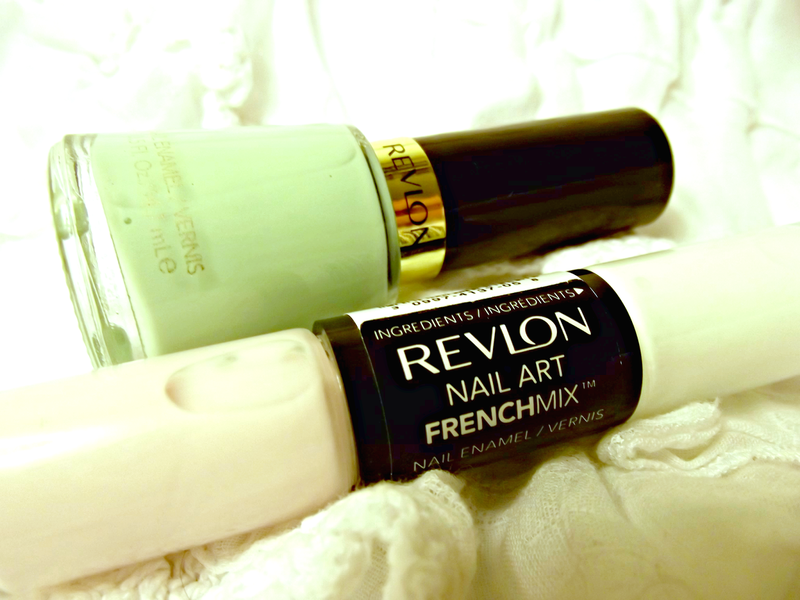 Finally I purchased two Revlon polishes. The first Revlon Nail Enamel in the shade Minted, I have countless polishes from the range and completely adore them, the consistency the colour, the lasting colour - it's perfect! I'd already taken a shine to the colour, it reminded me of a similar polish I have from the Collection 2000 Hot Looks range, but I find that it can get a bit gloopy and thick to apply, so jumped at the chance when I saw my favorite summer colour from Revlon! I also purchased a double sided polish from the Revlon Nail Art French Mix range in the shade Miss Perfect. I was drawn to these due to the fact that they were double ended. I love experimenting with polish and frequently use more than one. I purchased the simple french manicure style shades but there were some more creative ones including blue paired with gold glitter and purple paired with green!